With the end of year in sight, we know that this is an extremely busy time for Teachers and Students alike. We also know that for most of our clients, this is the time to be researching and planning your 2018 school camp. At Character Builders we aim to take as much of the workload off Teachers and Principals as possible and can support both the planning and delivery of your upcoming camp. We work with some exceptional camp venues across Brisbane, the Sunshine Coast, Gold Coast. Our expertly crafted programs are individually tailored for each school, linked to the National Curriculum and structured to meet your school’s objectives. We have run programs for a huge array of school groups, including sports teams, swimming clubs and academic and research groups. We never fail to create a camp program that will both excite and challenge your students. We provide a team of expert Facilitators who are trained in the delivery of our programs, and many of whom are qualified Teachers. Our team will be on site well before your camp begins to set everything up and ensure a smooth-running event from beginning to end. For your Administrators, know that we provide a detailed Risk Assessment for every camp, have Public Liability Insurance, and that all our staff hold current Blue Cards. We would love the opportunity to work with you on a program for your 2018 camp, connect you with some of our amazing contacts within the industry and create an exceptional camp for your students and teachers alike. “Our students certainly benefited from the genuine care, skill and enthusiasm of the Character Builders staff. They were not only active and involved during the camp, but went above and beyond prior to and after the camp to ensure that our students received the best experience possible.” – Kirstin Harding, St. Thomas Moore College. 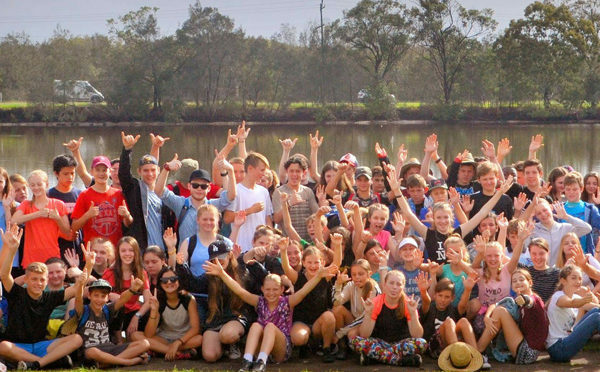 To find out more about the camp programs we offer across Queensland, contact us today! Previous PostLeadership and Team Building Brisbane, Gold Coast, Sunshine Coast, Ipswich and ToowoombaNext PostLeadership and Team Building, signing off for 2017!